Buildings within the UK are usually constructed using a structural frame, typically steel, concrete or timber, or are built from unframed masonry. There are many different types of walls and floor systems that are used within buildings, but together these elements play an important role in protecting occupants and assets from the effects of blast and other security threats. For many, a primary security concern is for the building to remain standing, or for damage to be limited to defined zones, following an attack involving explosives, impact and / or fire. Designing structural framing, walls and floors for structures so that they incorporate physical security requirements from the outset will help deliver robust and resilient business operations. Where it is necessary to retrofit or adapt existing structures, physical security needs should form a central part of the requirements definition process for the enhancements. Undertaking a security threat and risk assessment prior to design will help security practitioners to describe their needs to architects, designers and structural engineers. Adopting a ‘designing out vulnerabilities’ approach will reduce or remove the need for downstream remedial work. Such work is typically expensive and less effective than if it is an integral part of the core design. Building regulations already cover the requirement for structural framing to be designed against progressive collapse. Specific security requirements may require enhancement of the framing to withstand events such as close detonation of a vehicle-borne improvised explosive device (VBIED). Cladding systems such as profiled metal sheeting and insulated wall panels are widely used in commercial, storage and maintenance buildings. Advice should be sought regarding the suitability of such systems to provide the kind of ballistic and explosion protection that is required. When specifying walls and floors it is important to think about the function of the space they will enclose. 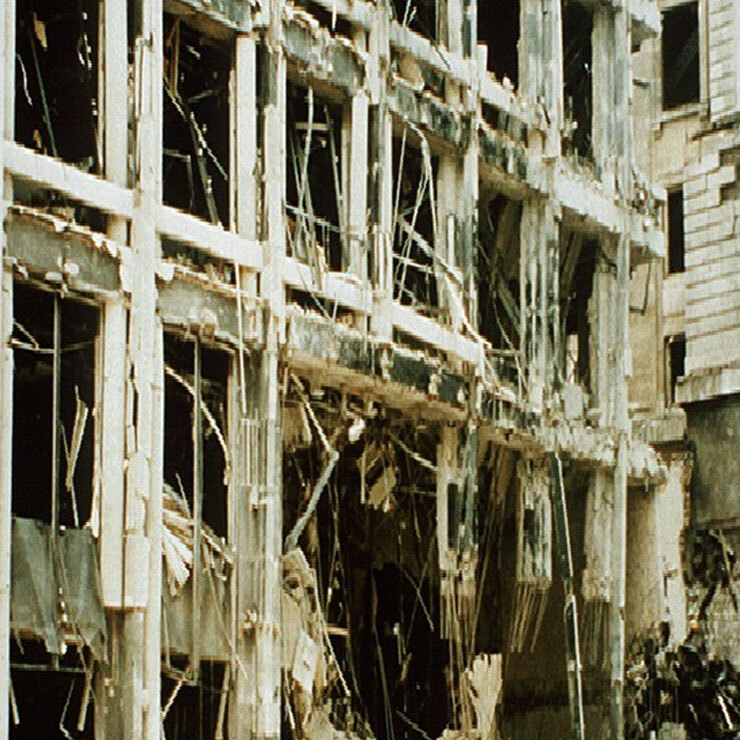 Exterior walls, and those surrounding critical locations such as mail handling rooms and protected spaces, perform a critical role in the protection of building occupants from the effects of blast. Floor / ceiling resistance should be comparable to that of the walls. If you are needing to retrofit strengthening to unreinforced masonry walls, advice should be sought from physical security specialists on the options available to mitigate the threats and risks you are facing.